Islington boxing club has a fantastic team of full-time qualified and experienced male and female boxing coaches who will deliver the boxing element of the programme and bring expert knowledge from their backgrounds as Professional boxers and competition winners. Their experience, knowledge and friendly approach help to make all of the clubs workouts and classes both challenging and enjoyable. They will take participants through all the stages a boxer would undertake in preparation for competition although they will stop short of sparring work. 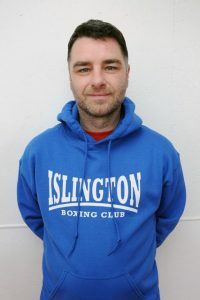 Winston joined Islington Boxing Club over 4 years ago as a coach and was previously a member of IBC back in the 1990’s as a boxer. Winston is a very enthusiastic individual and quickly went on to complete his ABA Assistant Coaches badge and is one of the most known coaches at the gym due to him regularly teaching boxing to the academy members (senior & junior), competitive seniors, and recreational keep fitters during the week. Winston is now a YMCA qualified Personal Trainer and hopes to work as a PT very soon so he is able to develop the boxers physical aspects. Zowie boxed as a junior for Islington Boxing Club and went on to box as a Senior at Repton Boxing Club. He began his coaching career at Islington Boxing Club in 2015. 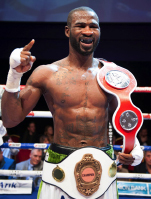 The Fighting Chance is proud to introduce in their Coaching line-up Larry ‘The Natural’ Ekundayo. Larry has a bag of tricks learned from his Pro Career to pass on to people he coaches. Champion of Africa, ranked number 30 in the World, number 11 in Europe. Winner of Sky TV’s Prizefighter tournament Undefeated record. Planning to defend the African title on Nigeria soil to a live TV audience of millions. 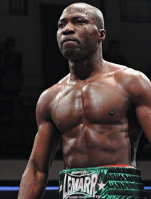 The Fighting Chance is proud to introduce Nigeria’s most successful current boxer Olugesun ‘the Gun’ Ajose. Former Olympian, Nigerian, British, African and Commonwealth Champion. Professional with 32 wins to his name Signed with Floyd Mayweathers manager. Ajose has boxed and coached in gyms all around the world at the very highest level.